I maintain that Nordic Walking is the best exercise, bar none. Now, if you’re training to be an Olympic Weightlifting champion, then you’ll need some pure strength training over and above Nordic Walking, but for general health and fitness, it can’t be beaten, whatever your level. I recently realised that I wasn’t getting the “whatever your level” message across, so I wrote this blog post: “Nordic Walking: from Unfit to Superfit“; if you haven’t read it, you might want to head over there now. If you’re not sure whether you fit into the “Unfit to Super Fit” bracket, at one end of the scale we have a group of 13 seniors, average age 87, learning Nordic Walking in their sheltered accommodation. At the other end of the scale we have champion alpine skiers running up mountains using NW poles “in the dry season” as part of their fitness regime. What is a Ketogenic Diet, in a nutshell? The last one is a guide to someone else’s encyclopedic guide, and the relevance here is that he recommends certain sorts of exercise. 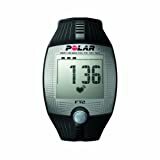 The body burns primarily glycogen when the heart rate is above 70% of its max. Therefore, aerobic exercises such as HIIT are good for burning liver-glycogen stores during induction, but such high-intensity exercise is not recommended once under ketosis as once muscle-glycogen stores are depleted, the body will begin catabolizing mainly muscle-mass under any high-intensity activity. The ideal aerobic exercises to perform when under ketosis are MISS (medium intensity steady state) and LISS (low intensity steady state). HIIT = Periods of high-intensity activity followed by an abrupt switch to low-intensity activity. MISS = Maintained medium-intensity activity (lightly jogging). LISS = Maintained low-intensity activity (walking). I maintain that Nordic Walking can actually supply all three types. Gentle Nordic Walking will give you LISS, but better than just walking. If you are obese (“a person of size”) then your weight will put stress on your skeleton and your joints. When I began all of this even a medium walk made my back ache more than anything else because of the strain on my back muscles from carrying my belly fat around (any woman who has been pregnant will be able to relate to this!) The Nordic Walking poles support your upper body as well as your lower body and take part of that strain off of your muscles as well has giving your hips and knees an easier time. At the same time, Nordic Walking is exercising all of your major muscle groups (legs, arms and core muscles), not just your legs, so you are burning more calories for less apparent effort. When you have got a little fitter you can crank up the Nordic Walking a bit (check out ”Nordic Walking: from Unfit to Superfit“). And if you need to do HIIT, you can do that through Nordic Walking, too (again, check out that other blog post). You will need a set of Nordic Walking poles. Susan and I started with Leki Spins, which you can get from Amazon. The link on the left is to Amazon UK, that on the right to Amazon.com. The UK site says “stick” … but they are a pair! If anything I think the American site offers a slightly better deal, but it depends where you live. Don’t mistake trekking poles for Nordic Walking poles, they are NOT the same thing. Our current favourite poles are Gabel Fusion. As far as I can tell they aren’t available in the USA (unless you know differently) and in the UK are only available through Nordic Walking UK. As Susan is a registered instructor with NWUK, I believe that we can get them at a discount, so talk to us! I have recently discovered a new Nordic Walking pole manufacturer in Estonia. When I come back to Florida in the winter I may well bring a stock of their poles: they are excellent, and inexpensive. There are other videos: see them all on the Boomyah site. That’s it: you’re Nordic Walking! Other kit that you need. If you are taking your health seriously, and especially if you’re on a ketogenic diet, you need to be drinking water. If you are walking anywhere that the temperature is anything above chilly, you need to be drinking extra water, especially if the exercise is increasing your breathing rate. And you might have noticed that both of your hands are strapped in to your Nordic Walking poles, making it difficult to access your drink bottle without poking your eye out! 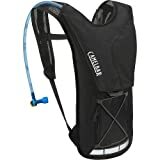 Which is why you need something like a Camelbak or other hydration-ready back pack, complete with drinking bladder and tube. The type of backpack you get is completely up to you and how much you want to spend. But I can’t recommend highly enough that you get a Platypus Hoser bladder and tube. They have the stunning advantage of not tasting like hospitals smell! Again, UK on the left, USA on the right. Those illustrated are two-liter. The hotter the area where you walk (I’m thinking Florida here!) the more likely you need to go with the three-liter version. The picture here is of a Camelbak back pack, but it doesn’t have to be Camelbak. As much as I’d like you to use our Amazon affiliate links, you’d probably do better to go to your local outdoors store, and talk to the folk there. 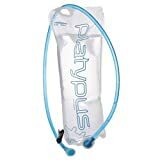 You want a day pack that is “hydration ready” (that just means it’s got a place to put the bladder and a hole for the tube to come through). Then you can drink and walk without even stopping, which means you can take frequent sips, rather than waiting until your mouth is like the Sahara desert! The next thing that you might need is a heart-rate monitor. Remember, once you are into ketosis you are aiming for low to moderate intensity exercise. The temptation is to go too far, too fast. 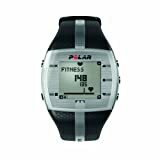 A good heart rate monitor will have a strap round your chest with a transmitter, and a watch/monitor combined. You can pay a fortune for these, but the ones illustrated here are perfectly adequate. When they arrive, read the instructions and when you don’t understand them, get your nephew or the kid next door to help! You have to program in your age, gender, height, weight, etc. It will then tell you when you’re in the “fat-burning zone”. Basically, it tells you to stop or slow down if you’re going too fast, which is really important. The alternative is that you get very tired to no good effect! Lastly, you need something on your feet. Here I would NOT ask the guy in the shop, because he will start talking about pronation and supination and have you walking up and down the shop, and out the door and down the street to visit with your bank to get a loan for the huge amount of money that they will want to charge you. But here’s the thing. Foot injuries and ankle injuries and leg injuries only started to really get bad after Nike. All that support means that the muscles of your legs and feet don’t have to do anything, and they get soft and floppy. As long as your soles are protected from sharp stones and your feet are kept reasonable dry, and the shoes feel comfortable, that should do. Vibram soles are good (they grip and don’t wear out too soon) … but I have recently taken to wearing soft Crocs, and they seem to be fine. It’s what suits you best, is comfortable, and doesn’t cost the earth. The first man to run a four-minute mile did it in a pair of thin leather slippers. Think what native Americans used to wear: moccasins. They make your feet work and keep the muscles strong. Where Should I walk, and How Far? I have a simple pedometer: cost me about £10 or $15. You can pick them up in a sports store or from Amazon or eBay. Wear one for a week, without doing anything new. At the end of the week see how many steps you have taken. If you have taken 70,000 steps in a week then you don’t need any advice from me! But let’s say you only walked 10,000 steps in a week. That means you are 60,000 short of a healthy goal. So, over 26 weeks you are going to increase from 10,000 to 70,000 steps in a week, by doing three short walks and one long walk (where the long is three times longer than the short) each week. Each week you are going to do 2,400 steps more than the week before, but in six “units”. So your short walk the first week will be 2400/6 = 400 steps, and your long will be 1200 steps. Each week your short walks will be 400 steps longer than the previous week, and your long walk 1200 steps longer. That does mean that in week two you’ll walk twice as far as week one, but the walks in week one were so trivially short it doesn’t matter! But by week 26 your short walks will be about 2.5 miles and your long walks a little over 6 miles, and you’ll never look back! Oh, and, where should you walk? Anywhere that pleases you, but if it were me it would have grass and trees and sky!